Weighing is an important process in pharmaceutical manufacturing and analysis and an error in weighing can cause problem in products. It has always been a great challenge for many people when it comes to adopting and using the best weighing practices in pharmaceutical industries. This is simply because electronic balances that are used may create the wrong impression sometimes that they are offering guaranteed measurement precision. That's why below, we have compiled the best practices to help you as an individual or organization to be able to use them to lower risks of incorrect measurement. One of the best weighing practices in pharmaceutical industries in which one needs to understand is the measurement errors that may arise during the measurement process. In practice, there is no absolutely correct measurement, this is due to methods used and instruments imperfection. There are three types of errors that may occur, these are, gross errors, systematic errors and random errors. Gross errors are the errors that occur due to operator's inattention. These errors should not be taken into account during measurement, and their cause should be analyzed well to prevent their occurrence next time. Systematic errors are the errors that remain stable or changes during repeated measurement in a predictable way. These errors should be considered only if there are adjustments introduced to the result. And finally, random errors are the errors which occur during repeated measurement in an unpredictable way. To get its value you subtract systematic errors from measurement errors. The second best weighing practice in pharmaceutical industries is to understand the balances that are used to measure masses in different stages. These include four load cell scales that are used to distribute heavy loads to light ones, single load cell scales that are used in production stage and microbalances used in laboratories. Additionally, the weighing instruments and weighing rooms should be checked and calibrated properly at specific time intervals and methods, this is according to the Health Ministry Regulation. Thirdly, there is quality risk management. This is another best weighing practices in pharmaceutical industries which help to avoid the risk of incorrect weighing performance which affects the quality of the medicine manufactured. Therefore one needs to have full information of the devices that are used in weighing and also the measurement possibilities should be controlled and used in practice. Additionally, one needs to work on the balance risk analysis by estimating the repeatability and the sensitivity of the balance in order to know if it is operating well or it has some deviations. 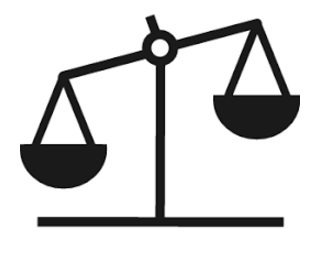 Another best weighing practice in pharmaceutical industries is the balance routine examination. Routine tests are performed according to the intervals that are accepted by the company. The company can either place schedule test intervals on the balance and ensure that it is operating properly at all times, or they can be testing the balance immediately before each measurement process. This is only possible if the balance is not on heavy duty. And also one needs to create a specific procedure on when the balance will be tested and the result of the test noted down. Therefore, In order to assure high quality and low risk of analysis during the weighing process, one needs to adopt the best weighing practices which when followed to the letter one is assured of delivering accurate medicine. sir please give me the procedure for membrane filter validation..